Submit your questions for Pete's weekly chat at 11 a.m. Thursday in advance of the Packers-Buccaneers game. Pete,, I see where TT will have 12 draft picks in 2018 (10 in first 5 rounds). Possibly 4 in 3rd round (depending on Hyde/Bennett). I disagreed with his idea of quantity over quality approach in 17 with 10 picks and cutting 3 of them. Do you think there's any chance he will trade around to end up with 7 (app) picks in first 3 rounds looking for top proven talent? Has he ever taken that approach? I know he traded way up for Mathews.. I would think he could trade a 3rd and 2 lower ones for a high/medium first round pick a couple of times?? Wouldn't be surprised at all if he did some trading with all that ammo, though I still like the more picks vs. less approach overall, even if you have to cut some of them. There's such an element of luck in the draft that the more picks the better generally speaking. But yeah, with all those picks it definitely gives a little better option to maneuver some for guys you really like. Just remember, while Matthews was a great evaluation and trade, you also have to remember that when you trade up and miss, you're not just missing on one pick, you're missing on multiple picks. For instance, they traded two extra picks to move up and take Spriggs, so that's three picks. Hi Pete, nice job. How would you rate Hundley's improvement? I have felt that since this season is the first time that he has seen any action he really should be graded as a rookie. Now there is talk that two td passes were the result of blown coverage. Seriously, isn't that the function of a qb?, to spy a open receiver and take advantage of the situation. I wouldn't treat him as a rookie because he'd had two full years working in the offense and been taking practice reps and learning from meetings, etc., but your point is taken, this is the first time he's played in real games, and that's still a different animal than practice or even the preseason games. He's shown gradual improvement except for the Baltimore game. He's shown enough to think they can win the next two against Tampa Bay and Cleveland. McCarthy also is figuring out how he has to game plan with him. It's a week-by-week thing. Hey Pete, in your opinion how would CMIII do if moved to ISLB permanently next year? Is his coverage, speed/blitz/talent (know he's strong on run) good enough to stay on field 3 downs, negating the need of Nitro? I think there's a pretty decent argument for moving him inside, maybe playing him outside on the obvious passing downs. He's big, runs well, is disruptive in the run game. I don't know if he'd negate the need for the nitro, because it can be tough for any traditionally sized LB to match up in the passing game. But a nickel with him and Martinez at ILB would be better than Martinez and Ryan. So yeah, I'd think that's at least be on the table for next year. Hi Pete. It seems that nearly every time G.B. faces a team with a good offense their defense coughs up 450+ yards and if they do not get turnovers 31+ points. I think Dom can still coach but after so many years is his voice now falling on deaf ears? Agreed they have trouble with the really good QBs. I still think it's mainly because they don't have standout pass rushers, that's what you absolutely have to have to play really good defense in this league. A good rush is like good shooting in basketball, it covers up a lot of weaknesses. The Packers have to blitz to get any kind of rush, but blitzing leaves you vulnerable to hot reads and one-on-on coverages. I really don't know if Capers' message is getting lost in some way or what, there have been some troubling things on occasion, blown coverages, the 10 men on the field. But I actually thought they played pretty well last week, that's a really talented Pittsburgh offense with Roethlisberger, Bell and Brown. And the Packers were missing Clark and Matthews. But the rush came back to bite them, when they had to get the stop at the end they couldn't. Hi Pete! As you've watched the season unfold, some young Packers have ascended. I'm thinking Clark and Martinez among them. Who else, so far this year, has demonstrated they're an ascending young player? Clark probably has impressed me the most, that's starting to look like a pretty damn good pick. Martinez has played well too -- he's not that good in coverage but has been very good against the run. Randall's played fairly well since his benching, he's flashed some of that first-round talent. Lowry has improved too, I'd say he's ascending. Allison might be too but isn't getting much playing time because McCarthy is going with the guys he trusts most (Adams, Nelson, Cobb). I guess you'd have to say Adams is still ascending also, though he's not as young as the guys mentioned. The guys to really watch are King and Josh Jones. Pete, are you surprised packers have not added another tight end to roster? A little bit, yeah. To make up for it they've been playing Ripkowski more and occasionally using a tackle (Ulrick John) at tight end. Pete, If Randall is left alone to play slot seems like he will be fine, put him on outside and he gets exposed. He seems to play better in there, agreed. I think he likes to peek into the backfield, and maybe that's something you can do more when you're playing the slot. He's not a physical tackler, which, for instance, Woodson was in that position. But it does seem to be his best spot, which makes sense because he played there a lot in college -- he was a safety who played a lot of slot in nickel if I remember correctly. Hey Pete, I've been asking this question on Packers chats for some time, and haven't received a response. I'm hoping that by submitting early it will give a chance for a quick bit of research on the matter: Simply put, if Dom Capers had to defend his job, what stats, figures or trends could he use? How is this defense getting better week-to-week, year-to-year? What high levels of consistency and excellency have they maintained? I’m just a fan, so I’m sure there must be things I’m missing. Thanks! I didn't get a chance to look at the questions beforehand Barry, my apologies. Some things to look at over the years -- and I'm sure we'll be addressing these things in columns and stories at season's end -- are defensive passer rating (yearly rankings are available online at Pro Football Reference) and turnover ranking. Generally speaking his defenses have been pretty good there, though last year's defensive passer rating was bad (I think like 25th or 26th). His first two years their defense was pretty good, things went downhill as Woodson got older and Collins' career ended. I still think Capers is a very good football coach, but good coaches get let go all the time. McCarthy has a big decision to make this offseason. did anyone ask AR what he is doing on Michigan Avenue? Sounds like he was just going to meet some friends for dinner the evening before the game. On the road players are free to get dinner wherever they want. I think they have a final meeting later at night, I think it might be around 9 p.m., someone in there. Great article today, Pete. Do you recall how well Rodgers initially performed from his previous collarbone injury? I was thinking about that, I didn't look up his numbers but that first game back was against Chicago in the finale in '13. I don't remember him playing poorly, and he did enough to win the game. They scored only 20 the next week against SF, but the 49ers' defense was still pretty good then. I don't remember him playing great, put it that way. He was playing great before he got hurt, that's for sure. Do you see the Badgers winning on Saturday? I don't watch a lot of college football so don't have much of an idea. I'm sure Ohio State is talented, but the reporters I know who are up on this thing say the one thing that's different this year is Wisconsin's defense isn't just good but it's pretty fast. pete-------thank you very much for doing your chats------they are really good. do you think we have seen enough evidence this year to finally remove the DC and ST coordinator based on another year of poor performance and unsatisfactory statistical rankings? when do you think Packer management will acknowledge they have a major problem in their draft management given the lack of quality high-end talent they have drafted in the last 3 or 4 years? the team needs to make major changes if they are going to get back on track. thank you for taking my questions. This is the ongoing question for everyone who follows the Packers and is asked in some way, shape or form every week (multiple times) in these chats, for good reason. So, is the reason they haven't won another SB with Rodgers because the drafting (especially on defense) has been subpar? Is it the defensive coaching, and does McCarthy need to make a change there? Big and important questions for sure. I'm still of a mind to let this season play out before weighing in with anything approaching a definitive opinion. I will agree that the defensive drafting has been a big issue. I don't think they've taken a lot of bad players, the problem is Thompson has hit big on only one pick in the last five or so seasons, and that's Mike Daniels. You need probably three difference makers to play good defense in the NFL, and they don't have that. Thompson picks late almost every year, so that makes it tougher, but it sill can be done (Daniels was a fourth-rounder, after all). Clark looks like a good pick, and maybe he'll become a difference maker, though I'm not sure he's ever going to be quite that caliber a rusher. I'm just going to leave it at that for now, but what you ask is what everyone who follows the team closely is and should be trying to figure out. Thanks for helping with a rules question. On TJ Watt's helmet to helmet sack of Hundley, someone in your group wrote that Hundley had given up his status as a protected quarterback when he stepped up in the pocket and started to run. But how do the referees know that he won't take a step back and pass? Is the QB only protected from contact with his head when he is standing in the pocket making a throwing motion? Isn't forcible helmet to helmet contact supposed to be a penalty for any player, anywhere on the field? I'll have to check on that to know for sure, but I think they're protected until they're outside the pocket, and I don't think Hundley was outside the pocket when Watt hit him. To be honest, I didn't even notice it during the game and didn't realize there was an issue there until our reporters came up from the locker room and said McCarthy had talked about it. But I have to say it looked like it should have been a penalty to me. We should get the league's ruling on that Friday, that's when the fines come out, and if it fines Watt (even though he wasn't penalized) then we'll know it was a penalty. Assume an owner with deep pockets (i.e. all of them). And he says to his star quarterback, "I'd like you to take a below market contract. This will allow me to spend on other areas of the team. If you do, I will take care of you (e.g. cash under the table, a cushy job with one of my other companies, etc. ).Ultimately, you'll get paid." Are there rules to prevent this? Is anyone monitoring to ensure compliance? Yeah, any kind of agreement like that violates the league cap rules. San Francisco got nailed for that years ago, in the mid-1990s -- I don't remember the details but it agreed to pay a guy more money later, after his contract was up, and somehow the league found out and proved it. They got fined a lot and might have lost a draft pick, I'd have to look it up for the details. But I don't know how the league monitors it or would find out generally speaking. Maybe one thing that makes it difficult is it can't be put in writing -- that would be evidence of cheating -- and players and agents might not trust the owner to follow through if the relationship ruptures. Or owners won't do it because it basically leaves them open to blackmail by the player. But maybe it goes on, I really don't know. Can't say I ever hear any whispers about it, though. That game suggested they at least can compete with anybody. The more I watch this league -- this is my 25th season -- the more I realize that it's really a week-to-week game. Of course patterns emerge, and the teams with the best QBs win the most, and all that. But not that much separates most teams, and performance by everyone varies week to week. I'm sure that's especially the case with a young QB like Hundley who has some talents but also some limitations. It takes time to maximize the former and minimize the latter, and for a lot of guys it's always up and down because they just can't quite do it. But he's played OK in two of the last three games, so yeah, they should have a decent chance this week against Tampa Bay and should beat Cleveland (of course, we've seen enough to know they could lose both, too). I'd think they'd be hard-pressed to beat Carolina with Hundley, but there's at least a chance Rodgers would be back by then. Pete I've been wondering how the writers who cover the Packers feel about Ted Thompsons lack of press conferences and seeming lack of accountability to the fans and the shareholders. I've been to a couple shareholder meetings and for the most part they feel like pep rally's. It frustrates me that he never has to face any tough questions throughout the season. Not sure how it is in other organizations. Is it normal that a GM doesn't do press conferences? The shareholders meeting is a glorified pep rally, you are correct there. I think everyone on the beat would say that Thompson should speak more regularly -- Wolf returned phone calls about 98 percent of the time, on the same day. So it can be done. I agree the fans should get an idea of Thompson's thinking on many matters. He can keep them informed without giving away the store or providing other teams with too much intelligence on his team. The public part of the job is his greatest weakness as a GM. I think about the only thing he's not required to do that he does is a Q & A with PackersNews/JSonline in training camp. We appreciate that he does it, but yes, he should do a lot more. The public nature of the Packers' ownership only increases that obligation in my opinion. I don't know for sure how most GMs handle it, I think it varies around the league. I think some of them communicate regularly with beat writers off the record, others are available fairly regularly on the record, and some are more like Thompson. But he's on the extreme end, that's for fure. lets assume your the GM and had to start rebuilding this team where would you start and would you make any personal decisions with trades or free agents. My main focus would be improving the pass rush in any way possible. So I'd be looking at possible trades, free agency and of course the draft in a big way. Why aren't the Packers running more with Hundley? I know you don't want him to get injured but his rushing attempts seem too low. It could also open up things for other type of plays, formations, ect. I agree. Looks to me like to be an effective QB he has to run a decent amount, so protecting him by not running doesn't allow him to be at his best. I'd even run some read option with him, though McCarthy hasn't shown any inclination of that, at least not yet. Maybe he's been saving it, or maybe he just doesn't want to do it for fear of Hundley injury. But I'd use it some and I'd encourage him to tuck it run as a scrambler too. Hi, Pete. Thanks for chat. It seems to me that Jones, Number 27, despite his physical gifts has regressed over the season and isn't making plays. And has Rollins played a down at cornerback since the Dallas game? Why not play Donatello and Pipkins? Jones has been up and down, for sure. I thought he had a chance to make more of an impact than he has, especially at the nitro position, but he hasn't played it that much, and they really haven't used it much the last few weeks. Not unusual for rookies to be that up and down but I thought he might play a little better. Still, he has talent, and there are five games to go, which is basically a third of the season. So we'll see if he plays better down the stretch. Clark started breaking out about this time last year. Rollins is on injured reserve and is out for the season. Hi Pete, thanks for taking my question. I read the Packers' defense had 16 missed tackles in the Steelers. It seems like we have bad tackling games several times a year. What's the root cause for so many games of so many missed tackles. These players have been playing defense since Pop Warner. I'm sure they have been talk proper technique. I just do get it. Tackling has been a lament since I've been covering the league, starting in 1993. So part of me wonders if it's always been a lament -- that fans and former players always think the tackling was better a generation or two ago. Then again, tackling probably has slipped some over the years because teams do it less. Few teams have any live tackling at all in training camp, and I'm pretty sure nobody does it during the season, the risk of injury is just too great. So it's hard to practice tackling without actually tackling. They do things like tackle guys onto big padded mats at half or two-thirds speed to work on getting their feet right and tackling form, etc., but nothing beats doing the real thing. That's why those robotic tackling dummies are going to be common soon. You can tackle those things without much risk of injury, and they're getting to the point where they move almost as fast as real players and can change directions, etc. Pete, what’s it like being at Mike McCarthy’s press conferences? Is it more difficult for a reporter when you know the coach is in a bad mood after a loss? And who’s that guy who always seems to ask the first question? No, if you have a question, you just have to ask it. Sometimes when he's in a bad mood he dismisses it or gives an answer of now use, but sometimes they're good answers. Though there have been some oline issues this year, they've mostly been injury related. I think Evans has held up very well. Is it fair to say that TT has now been twice vindicated in his decision to let a pro-bowl guard leave? Tom's article about needing an impact corner has me perplexed. What good would using another high draft pick on a corner when there is no consistent pass rush. A great corner will look marginal with no pressure on a NFL QB while a marginal corner will look great against a pressured QB under duress. Packers need a pass rusher way more than another corner; the cornerbacks they have are fine. I agree that pass rush is the biggest thing and as mentioned earlier a good rush can cover up for weaknesses elsewhere, including at cornerback. But Tom's point was that when they had Shields, he could kind of take away half the field -- not completely, very few CBs can do that -- but he could cover a top receiver and do fairly well, or blanket lesser guys. That then allows a team that doesn't rush as well to do more blitzing, because that's one guy you don't need to help. So that has a really big impact on a defense, and that's why losing Shields was so big, because they haven't come close to replacing him. In this league defense is all about pass rushers and cover guys. You look at salaries, QBs make the most, pass rushers next, and then I think CBs might be next, even more than WRs. Pete, we’re still waiting for Kevin King to make a splash play. Just a matter of time or isn’t he being aggressive enough? I really think that shoulder injury is affecting him a lot. He's in and out of games, you can see him favoring it at times. Hey Pete, Assuming Rodgers is available the last 2 games, what do you think the odds are on the Pack making the playoff? 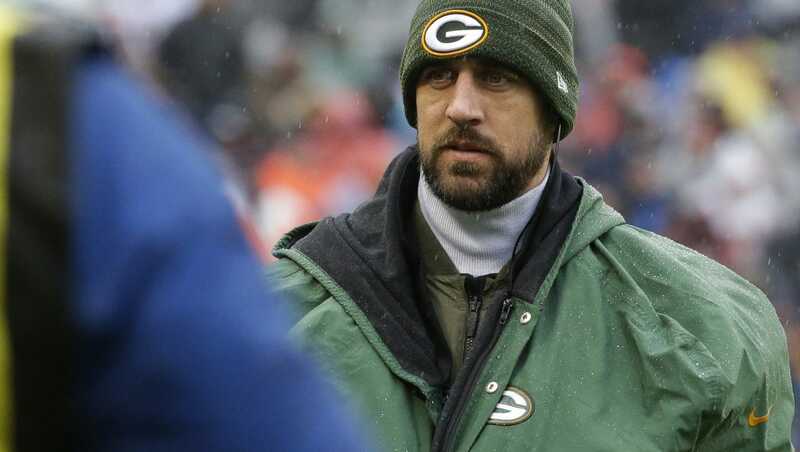 It's about whether they should bring Rodgers back, some of the possible playoff scenarios, etc. I'm betting if they get to 10 wins they're in. At nine the odds go way down but it's not unthinkable because Atlanta and Carolina have really, really tough schedules, and Seattle has to finish the season without two of its most important defensive players (Sherman and Chancellor). So a lot depends on whether they're 8-6 or 7-7 with two to play. At 8-6 the odds would be decent, though beating a good Minnesota team would be tough with Rodgers just returning (or maybe having played one game). Take a look at the column, especially take note of the remaining schedules. You still have to say the Packers' playoff chances aren't great but that could change if they win these next two against TB and Cleveland. My apologies everybody but I have to go, have other work commitments to get to -- that's why this chat was at 11 a.m. instead of the usual 1 p.m. We'll try to go longer next week so I can get to more of your questions, you always give me a lot to think about. Take care everybody and we'll talk next week.